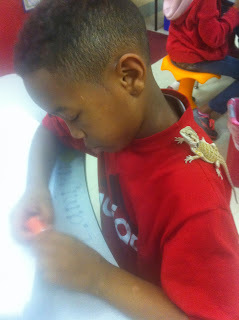 Today, Spike made it around the room for some one on one time with the kiddos. They LOVED it, and something tells me so did Spike. Helping out with a reading assessment. This one made fore a great mini lesson on camouflage! 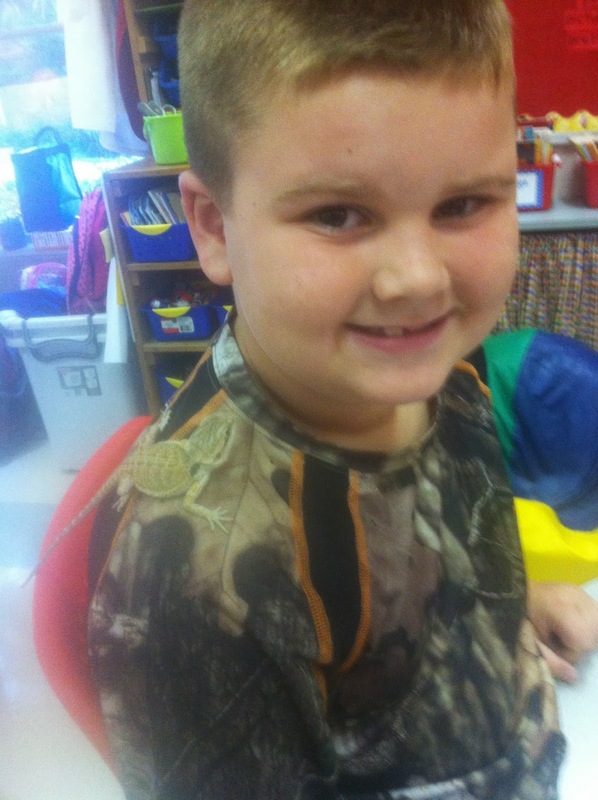 Watch our class Bearded Dragon, Spike, eat his Saturday lunch! I filmed it yesterday when I stopped by the class to catch up on some work. 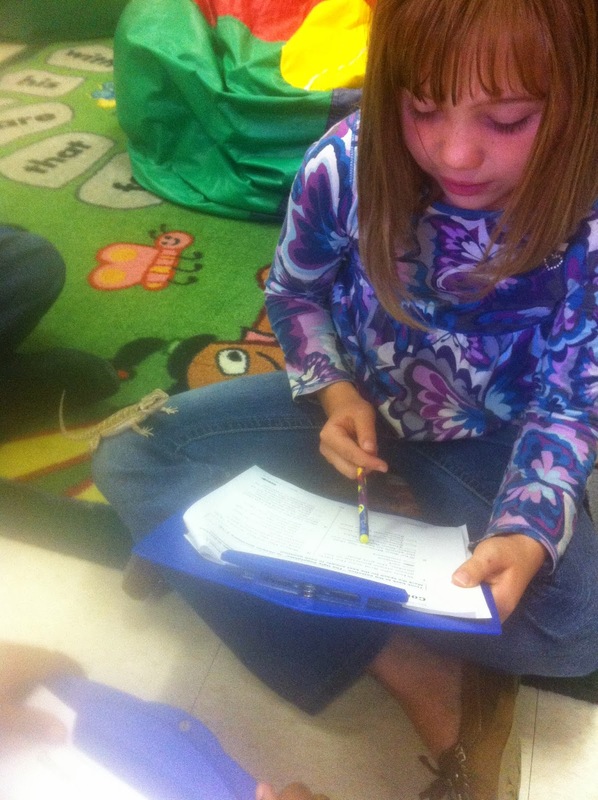 Students work together in the hallway, at recess, and related arts classes to be the best they can be. When they get a compliment from another teacher or the principal for being awesome, I give them a "Woody Wow" point. Woody the Wildcat is our school mascot. I have pics of him and post them in the class as they earn them. When students earn 10 we have a Woody Wow Celebration. Today was the first one...pizza making. I try to make every celebration super fun, yet filled with teachable moments. Making pizza is a great sequencing activity that lends itself to some pretty awesome writing with first, next, then, and last. Writing will happen Monday. Today was for pizza!!! Big thanks to Mrs. Thomas and Mr. Hansen for helping and to all the parents who sent in needed items. Days like this a hard without you.